Startup Startup aspired to be the platform where talent connected to start up awesome startups. It all started around Hallowe’en 2014, at reed.co.uk’s biannual Hack Day. The company wanted to diversify its portfolio and challenged employees to come up with ideas we could spin off into startups. While brainstorming in small groups, we dreamt up connecting people with great ideas (or early stage startups) with talented people interested in joining a startup. We created a working prototype and an elevator pitch and at the end of the 36 hour Hack Day the judges picked Startup Startup as the overall winner. We believed (and still believe!) that having the right team is the main factor determining the success of a startup. On the platform we envisioned, Talents who wanted to get involved in a startup but didn't know what to work on or who to work with could create a Talent Profile to show others what they were all about. People with great ideas but not (all) the skills to turn them into reality could create an Idea Profile to share their vision and start building a team around them. Existing startups could use the Startup Profile to showcase their business, drive traffic to their site and grow their team by attracting amazing Talents. The next couple of months consisted of early market and persona research, writing a business case and pitching the evolved idea to our Board of Directors, while still working our “day jobs”. 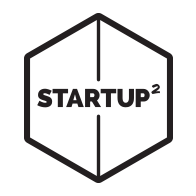 Then, on 9 March 2015, our founding team of four (David Bishop, Darryl October, Iñigo Gomez and Timo Hilhorst) moved to our incubator office in Islington, London, to focus on making Startup Startup a reality. We met some amazing people, done a whole lot of persona research, evolved the website from just a landing page to an MVP to what turned out to be the final iteration. We managed to grow the community to well over 10,000 members from 100 different countries and 1,000 startups and ideas. From our launch in June 2015 to "the end" in May 2016, 150,000 users visited to the site, spending well over 10,000 hours engaging with the community. Being part of the innovation centre of reed.co.uk, the UK’s number 1 job site, our biggest challenge from the start was proving the value we could bring back to the company. Monetising a solution catering for early stage, cash poor startups and entrepreneurs was always going to be a big ask, but as the company’s first internal startup we helped identify our strengths as a business and ultimately came to the realisation that the Startup Startup model wasn’t the right fit for the company. At some point late last year, we decided to halt development, so as not to invest any more time, effort and money in Startup Startup. As people were still using the platform and Startup Startup has always been a more or less self-managing community, we decided to keep it live. We’ve now run into some technical issues that are preventing those still using the website from getting the most out of it, which seems a fitting time to call it a day. After careful consideration we decided to take the site down in May 2016. Let’s be honest here, of course “failure” hurts, especially when you’re as passionate about an idea as we still are. However, as advocates and practitioners of Lean and Agile, we’ve always been aware that it’s part of the game, believe us when we say lessons learnt from “failure” can be very important and powerful. It feels we’ve all learnt loads from the experience, and then moved on to bigger (and perhaps better) things. David continues to pursue the startup dream, having raised funding for Love the Sales, the startup he ran as a side business for a couple of years before going full time in July 2015. Darryl and Iñigo helped shape Reed Commercial, one of reed.co.uk’s other innovative initiatives. Iñigo is now working on using his creative talent to re-imagine other parts of the reed.co.uk product set, while Darryl’s still working on making Reed Commercial great, although now doing this from Barcelona. Timo's been involved in some interesting new products and projects at reed.co.uk and is now the Product Owner looking after the company's digital sales channel. All in all, working on Startup Startup has been amazing. It’s allowed us to pick up new skills, demonstrate our creativity, prove how much a motivated team can achieve and move back to the “mothership” with some great insights on how to achieve more in less time and be fully customer centric. Finally, we owe a big thank you to the people at reed.co.uk, in particular to our “creator” and mentor Mark Ridley, and all those amazing individuals and startups who helped shape the platform and the community. Thank you all!